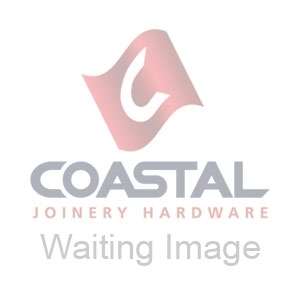 Coastal offer a couple of options when it comes to tilt & turn window handles, these handles differ from the standard espagnolette handles which are not suitable for use with tilt & turn systems, tilt & turn handles are made stronger to deal with the additional force required to operate the system. Contemporary Locking Tilt and Turn Window Handle. Available in 3 finishes, Matt Black, Polished Chrome or Polished Brass, and carries a 10 Year guarantee. Supplied complete with key but does not include the fixing bolts. Note: This handle has 2 locking options, the option to lock the window so it will not open at all or the option to lock the window so it will tilt only but not turn, see the drawing for more information.